In spring, a young forager’s fancy lightly turns to thoughts of greens. That’s how that goes, right? I don’t remember, but when March in Seattle brings its flowering trees, its longer days, and its weather, uh, exactly like October through February, I start looking at the ground for plants that are best when they first come up. Dandelions (try my dandelions with leeks recipe, or the dandelion scramble). Nettles (here’s the nettle pesto recipe and a nettle broth with saffron dumplings). Miner’s lettuce, watercress, and plenty of other plants emerge in early spring too. 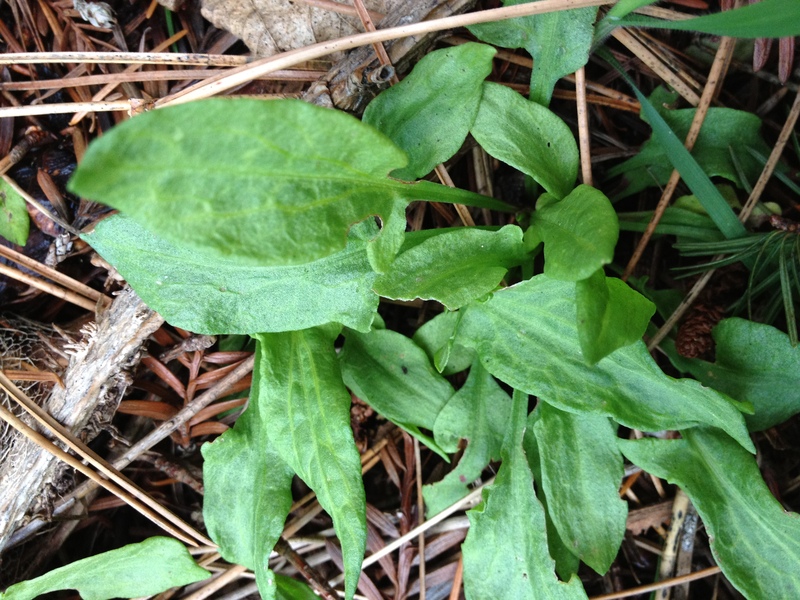 And yesterday’s favorite, spotted by my talented friend Karyn as we were going for a walk in the woods: sheep sorrel. There are two common wild sorrels that I’m aware of around here, sheep sorrel and wood sorrel. Both have a tangy, lemony flavor, similar to the kind of sorrel you can buy at a farmers market, but more delicate. They’re great in a cream sauce with sautéed onions and poured over salmon. But leave them fresh and you preserve both the flavor and the bright green color. Karyn and I were planning to cook dinner together, and I was defrosting a piece of tuna I’d bought from St. Jude’s at the Ballard farmers market for the occasion. We made side dishes of roasted vegetables with lemon, boiled tiny salt potatoes, and some excellent squishy cheese. We seared the tuna with smoked paprika. Then we poured over it a blended mixture of raw sorrel (with a few young dandelion leaves thrown in because they were there), olive oil, salt, and a touch of lemon. It was bright green, and delicious with the tuna and with the carrots. Try this sauce with anything that has a light, fresh, springtime flavor. Or just eat it with a spoon. 1. Roast garlic. Since this sauce goes well with roasted vegetables, you could roast some carrots, parsnips, asparagus, or other vegetables along with the garlic, and make extra cloves to eat. 2. Wash sorrel very well. 3. Put all ingredients in a small blender. Blend. 1. Dust the tuna all over with tons of smoked paprika, a little salt, and some black pepper. Let it sit and absorb the flavors while you make the sorrel paste. 2. Heat oil in a flat-bottomed skillet. When the oil is hot, add the tuna and cook for a short amount of time (about 30 seconds) on each side. Your goal is for the inside to be raw but warmed, and the outer part to be cooked and a little brown in a few spots. 3. Slice perpendicularly so each piece gets the range from cooked to raw-ish. 4. 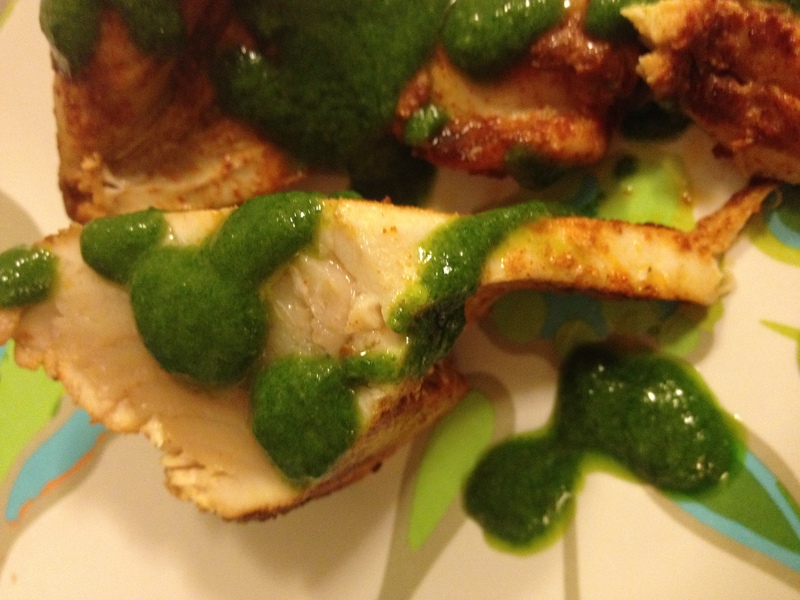 Drizzle with the sorrel paste and serve. Better food pictures hopefully coming again in future posts. I lost my camera. Wow, I would never think of making a sheep sorrel paste, everything looks so yummy thanks for sharing.